Interestingly, the official name of the region is just "Centre", but as many French people are unhappy with this name, thinking it rather unexciting for such a wonderful region, the "Val de Loire" is often added to the name to make it more descriptive! 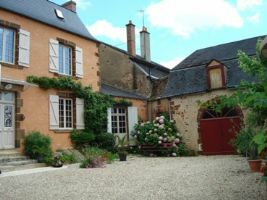 And although the prestigious region of the Centre Val de Loire (Central Loire Valley Property Guide) has long been seen as an expensive area for property, recent years have seen a return to more sensible pricing. So, this ever popular region is now a great place to find a bargain property. The region is one of the best known in France for its heritage of imposing, classical chateaux. Then there are the stunning cathedrals of Chartres and Bourges, the fabulous historic cities of Orleans, Blois and Tours and the rolling green countryside that characterises the Centre. The beautiful Loire River that flows through the region is France's longest river at over 1,000 kilometres. The words "cheap" and "Val de Loire" don't usually go together. But, property sellers and estate agents have all had to rethink their prices in the last few years. So, with the economic situation keeping prices low, and in many cases reduced, 2018 could be a great year to buy a property in the Centre Val de Loire. If you like the idea of breathing new life into an abandoned and forgotten property, these days you often have a tough search. So many of these old houses have already been snapped up, often by British buyers who love a project (House Renovations in France)! But, we've done the searching for you and come up with some exciting possibilities. Moving lock stock and barrel to live in France sometimes means that you need to find a new way of earning an income in your new home. So it's great to find properties that can help with this. 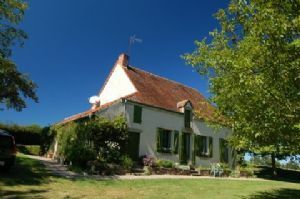 We have one listed below with gite accommodation. The lifestyle of the Centre Val de Loire is rather refined and typically French, befitting a region set in the heart of the country. Days spent visiting great chateaux, drinking elegant wines and eating delicious foods are just a way of life here. The towns and cities boast some of the finest restaurants outside the capital. And, Paris is easily accessible. If you have business there, you can even commute. The region has many sports and leisure activities available too. Golfers will find many great courses, among them Les Bordes, which is one of the finest courses in the country (Golf property in France). The lakes and rivers of this verdant region also offer fantastic fishing, swimming, and boating. The region has another attraction for British buyers. It's so easy to get to from the UK! Airports at Tours, Paris or Poitiers have direct flights on offer, and there are TGV stations there too so you can choose rail travel should you prefer. It takes around five to six hours to drive to the region from Calais. 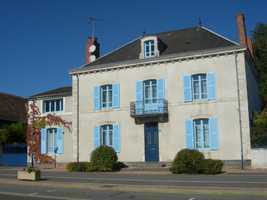 Why not take a look at the Loire property currently on offer? So the region is the perfect place to find a new home in France this year. Have a look though our property selection of the very best currently on the market in Centre Val de Loire. 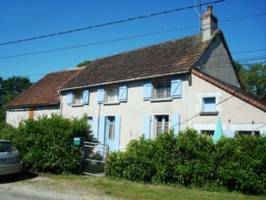 This charming house is situated in a peaceful hamlet close to the village of Lignac with primary school, Post Office, bakery and bar/general store, and only a 5 minute drive from the lively little town of Chaillac where there is a larger selection of small shops and services as well as a lovely swimming and fishing lake. The larger town of St Benoit du Sault with supermarket and more shops and services is around 15 minutes away by car. Wonderful opportunity to buy a stunning property set in peaceful and charming countryside. 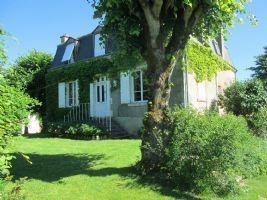 The main house is all on one level but it has an attached self-contained 2 storey studio apartment ideal as extra accommodation for family visits or as a holiday gite. The house is set in 6200m² of land and is well maintained. There is an attached storeroom/workshop and utility room. There is also an opportunity to convert the attic/loft into further bedrooms. This immaculately presented house sits in over a hectare of its own land and is surrounded by its well established walled garden. In addition to its tastefully decorated interiors, this spacious property contains a host of original features including chesnut parquet in the reception rooms and stunning 19th century tiles in the entrance hall and kitchen. 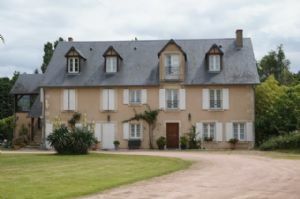 This beautiful chateaux style village house is situated in the lively little town of Chaillac where there are a selection of small shops and services as well as a lovely swimming and fishing lake and plenty of free parking. The larger town of St Benoit du Sault with supermarket and more shops and services is around 5 minutes away by car, a station is about a 20 minute drive with direct trains to Paris, and Limoges with its International Airport is around 45 minutes away. Prestigious Mansion, Barn, Swimming Pool & Gardens in middle of Country Town. Prestigious 4 bed mansion house, built in 1892, renovated with care to maintain the character of the building. Large windows, oak panelled walls & oak staircase. Large barn (175m²) suitable for garage for several vehicles, 1 acre private garden with many mature trees & swimming pool with security cover. Situated in the middle of a small country town with shops & restaurants nearby but very little noise..
An elegant Art Deco mansion with stunning period features including wood panelling. Situated on the outskirts of a culturally active village and set in a walled 12 acre estate complete with Groundsman’s Lodge. 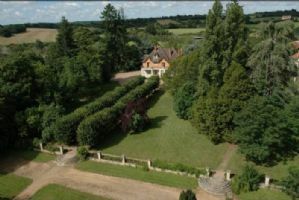 The estate: - A fully refurbished 1930’s Maison de Maître; Groundsman’s lodge; Walled grounds and gardens totalling 12 acres; Tennis court with pavilion. The main house: Impressive manor house built in 1932, fully renovated in 2002. Oil fired central heating. Country holiday complex converted from 19th century farm comprising 3 bed house with heated swimming pool, 3 holiday flats & 2 holiday cottages for up to 30 people. Large function room & equipped kitchens suitable for up to 300 people. Equestrian property provides 12 modern stables & access to green lanes for horse riding & carriage events. 12 hectares of private fields & woodlands accessible from the stables. Plenty of tourist activities within 1 hour's drive.